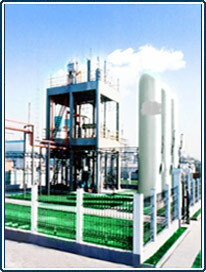 Process Description Hydrogen from water electrolysis is an established technology. Hydrogen flows from hydrogen electrolyser to gas lye treater and Hydrogen Purifier unit. Fully automatic control is achieved and is available for connection with DCS systems for monitoring.These Environment friendly Hydrogen Gas Generation plants offer great convenience to the customers for installation, easy operations and maintenance. 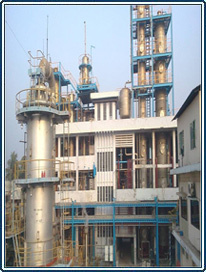 Steam Methane Reforming is an established and matured technology involving high levels of safety and automation. It is a low cost operation and offers a short paybck period. The off-gas from PSA can be used for burning thereby reducing fuel cost while decreasing waste gas ventilation volumes. Plant Capacity 200 - 2000 NM³/Hr. 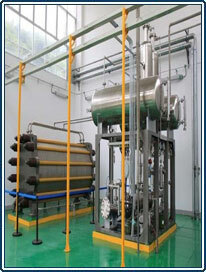 Process Description Steam Reformer, natural gas is preheated and desulphurized before mixing with steam. Once mixed with the steam in the desired ratio, the natural gas undergoes catalytic reformation in Reformer to produce Carbon monoxide, Carbon dioxide and Hydrogen. The mixture then undergoes shift reaction to convert the CO into CO2. The mixture from here gets transferred to the PSA section to adsorb CO, CO2, CH4 and N2 (from purging) and produces pure Hydrogen. The desorbed gas from PSA can be used as fuel for combustion in the Reformer. Nuberg offers Hydrogen plants based on methanol cracking. We provide high purity hydrogen gas-better than 99.999%, to meet a variety of our client's industries and advance technology application. Methanol cracking is an extremely useful technology being used to generate Hydrogen at low cost. The plant offers a short Payback period and is built with high safety features and automation. Methanol is considered as a preferred raw material in view of its easy availability and storage features. Plant Capacity 100 - 800 NM³/Hr. Process Description Methanol and Demineralised Water is mixed, preheated, evaporated and superheated. The mixed superheated gasses the undergo catalytic cracking process and shifting of Carbon Monoxide to form a mixture of Hydrogen, Carbon dioxide and residues of Carbon Monoxide in small quantities. The mixture of gasses is transferred to the PSA section to obtain pure Hydrogen.